Inheritance Tax is something that is paid if the total value of a deceased person’s estate and applicable gifts works out at in excess of £325,000. That is the threshold at the time of writing, but it may change at any time. The executor of the will, or, in some cases the administrator of the estate, is the person who pays inheritance tax. The executor is the person who was named in the deceased’s will as being responsible for working out what to do with the estate. If a person dies and has not left a will, then the person who deals with the estate is known as an administrator. If you were named as someone who was to receive an inheritance, then this will be paid out after the inheritance tax liability has been taken into account. There may be additional income tax to pay on inheritance if it is something such as share dividends or income from rentals. There are also some rules regarding paying inheritance tax on gifts that the deceased made when they were alive. For this reason, it is worth speaking to an accountant or lawyer that understands the rules regarding tax and inheritance if you are dealing with large sums of money. The current rate that has been set is 40% on all assets over the £325,000 threshold. It is possible to reduce that rate to 36% if 10% or more of the estate is donated to charity. The tax is due within six months of the date of death, although if the estate included assets that are difficult to sell then there may be an extension granted so that you can pay the tax in instalments over a period of ten years. 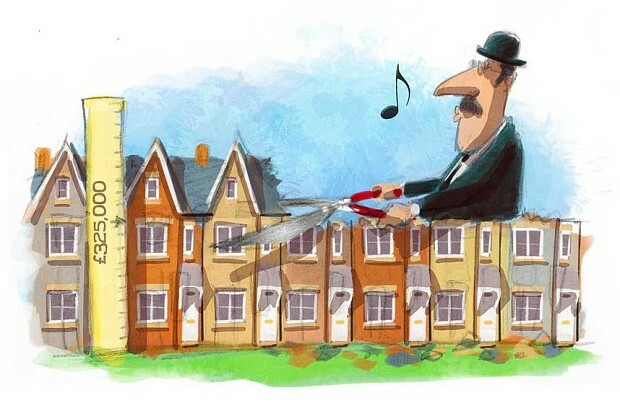 There are some exemptions and some options for relief when paying inheritance tax. Assets that are below the current threshold of £325,000 are exempt from inheritance tax, as are assets that were left to a civil partner or spouse. There are some options for relief for assets in the form of certain kinds of business, as well as for national heritage, and for agricultural assets. When it comes to homes, there are specific rules that relate to how they can be passed on , and who to. 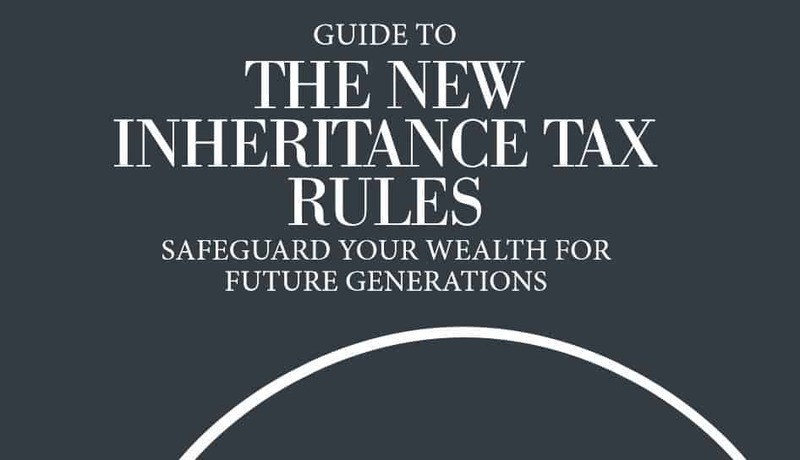 The inheritance tax rules were updated in 2015, and the new rules took effect in April 2017, The new rules allow individuals to pass on £500,000 free from inheritance tax, and married couples get an allowance that is double that – so it is possible to pass on up to £1 million in property to your child if you are a part of a married couple. The personal threshold is still £325,000 though, and the ‘family home’ allowance starts at an extra £100,000 and increases by £25,000 every year up to 2020. This allowance is only for the main residence of a couple, and the property must be passed on to a child or grandchild. It cannot be used to avoid paying tax on other property. 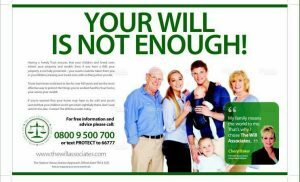 If you don’t already have a will, now is the time to get one. It doesn’t matter if you’re relatively young or quite old, it’s important to have a will for quite a few reasons. Tomorrow isn’t something that is guaranteed to everyone. Because life is unpredictable and it’s simply impossible to tell what will happen next, having a will is a way to make sure your assets are handed over to the right people if you were to pass on. One of the most important reasons to have a legal will created is to choose the right guardian for your children. If you were to pass away unexpectedly, you’d want to make sure your children are going with people who love them and are going to take the best care of them, such as your parents, older siblings, or even a close aunt and uncle. Regardless of who you choose, selecting the guardian is important because if you don’t make this decision ahead of time, the outcome may not turn out the way you’d have wanted it to. While it’s important to choose a guardian for the children who’d be able to look after them if you weren’t around anymore, it’s also important to decide who gets to keep your belongings, including your money, vehicles, property, and any of the other items you own. You may want to make sure your possessions are spread out evenly to loved ones, especially if you have several children because that is the best way to keep things fair. You can think about who you’d like to give certain things to if you were to pass away and then have that information mentioned in your will so that your loved ones know what to do with your belongings. When you don’t have a will, loved ones may end up fighting over the stuff that once belonged to you. However, that is probably not the kind of stress and frustration you want to put on your loved ones when they’re already experiencing a lot of heartache from losing you. Make sure problems like that are easily avoided by simply making these important decisions before your death ever occurs. Some people don’t like the idea of writing out a will because they think they’re too young or because they think it’s too grim. Most people don’t like thinking about the possibility of dying and leaving their loved ones behind, but it’s important to be prepared for anything that can happen in life. Just because you have a will written out for you doesn’t mean you’re going to pass away the next day. It does mean that you won’t have to worry about what would happen to the people you love the most if you did unexpectedly pass away. If you don’t have a will, you should think about making one. Many solicitors specialise just in will writing, other law firms such as dphlegal.com specialise in employment law. You’ll get to make some major decisions, such as who you’d like to have caring for your children if you weren’t around and who would get to keep all the stuff that once belonged to you. Hello there and thank you for visiting. My team and I have been practicing family law for over 30 years now. We’ve seen pretty much every type of case and scenario. With that comes a lot of learning, refining in order to achieve the best result all round for your family. Any disconcerting matter that involves family is an important one and one you want solved with the least amount of fuss and aggregation. We provide a wide range of services including will writing, inheritance planning, child custody issues and divorce advice. If you find yourself or your family in a tricky situation then please don’t hesitate to call us initially for some free advice. Powered by the Zues Theme.Copyright © 2019 Will Writing | Family Law | Solicitor & Notary in Reading · All Rights Reserved.